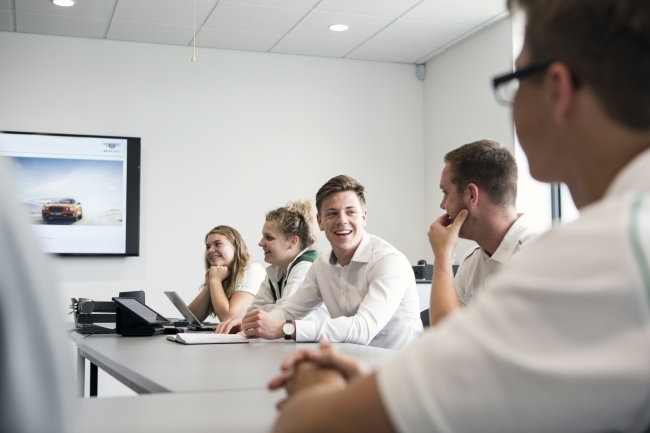 Bentley Motors has launched its 2019 apprentice recruitment campaign with 51 new positions to start in the autumn of 2019. Opportunities cover areas including digital, sales and marketing, human resources, finance, purchasing, as well as engineering and manufacturing. Dr. Astrid Fontaine, Member of the Board for People, Digitalisation and IT at Bentley Motors, said: “The apprenticeship programme is existential to secure and develop the future talent at Bentley. In the rapidly changing world of automotive, mobility and services, we are proud to deepen the existing digital experiences that already exist as part of the programme, by launching pure digital apprenticeship positions. Bentley’s Apprentice of Year, and also Volkswagen Group Apprentice of the Year 2018, was Phoebe Jay, a former Paint Apprentice, and now working in the Paintshop Launch team at Bentley Motors.